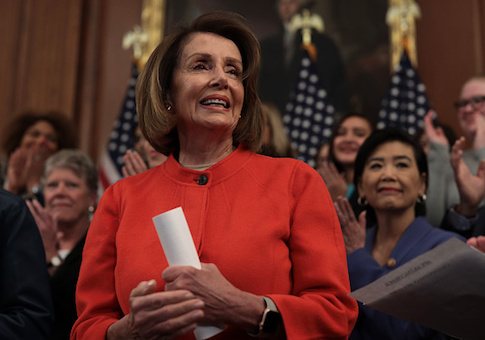 "As Washington Democrats continue their ill-advised push for unilateral pay raises for federal employees, regardless of their performance, Republicans continue to ask Democrats to amend their legislation," said Erin Perrine. "Currently this bill treats victims the same as their harassers. That makes no sense." Among the members who opposed the proposal was Rep. Tony Cardenas (D., Calif.), who was sued last year by a woman who says he drugged and groped her when she was 16 years old. Cardenas chaired the vote for the Democrats. The bill passed without the amendment on sexual misconduct and now goes to the U.S. Senate. Louisiana Rep. Mike Johnson, chairman of the Republican Study Committee, called the vote "just wrong." "Today, House Democrats voted to reward individuals who have engaged in sexual misconduct with a pay raise," Johnson said in a statement. "Thanks to their votes, those who have been disciplined for these behaviors will be given the same, across-the-board pay increase that their victims receive." Johnson accused the Democrats of rejecting a "commonsense solution" just because it came from the otherside. "Unfortunately, this legislation passed the House for no other reason than that the majority party could not stomach a commonsense solution offered by the minority," he said. "We are appalled that this is what ‘governing’ has come to in our country. The American people deserve much better than this." UPDATE 4:46 p.m.: This piece was updated with comments from Rep. Mike Johnson. This entry was posted in Politics and tagged House Democrats, Sexual Harassment. Bookmark the permalink.